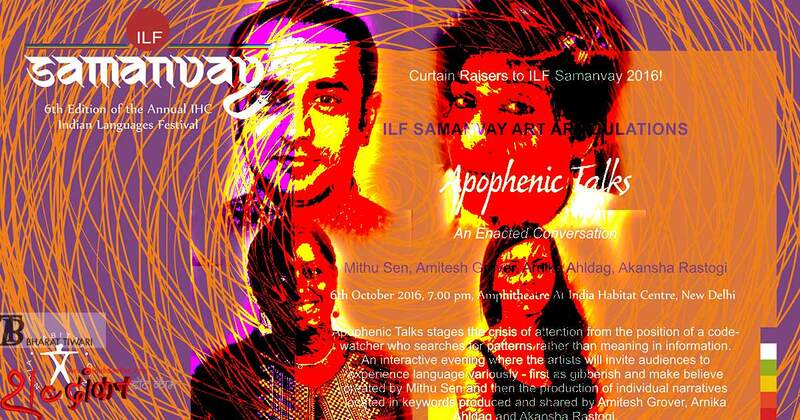 #NTB conversation, the curtain raiser events to the ILF Samanvay 2016, now the fifth #NTB one is Apophenic Talks - Enacted Conversations. 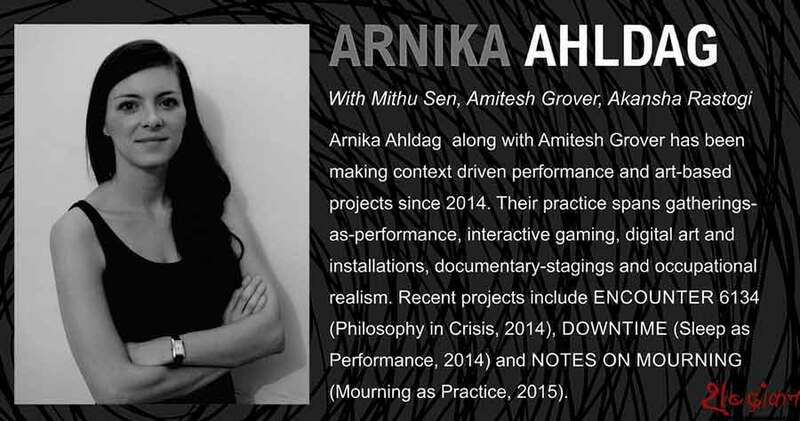 Apophenic Talks stages the crisis of attention from the position of a code-watcher who searches for patterns rather than meaning in information. 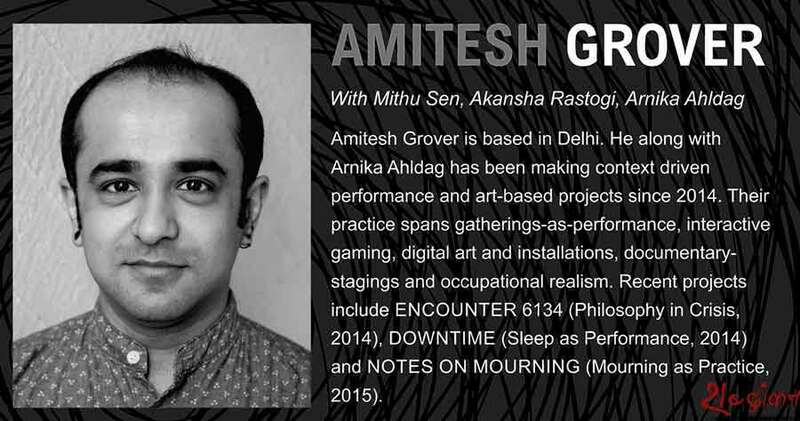 The session will be curated by Deeksha Nath, the interactive evening will see the artists will invite audiences to experience language variously - first as gibberish and make believe created by Mithu Sen and then the production of individual narratives located in keywords produced and shared by Amitesh Grover, Arnika Ahldag and Akansha Rastogi. 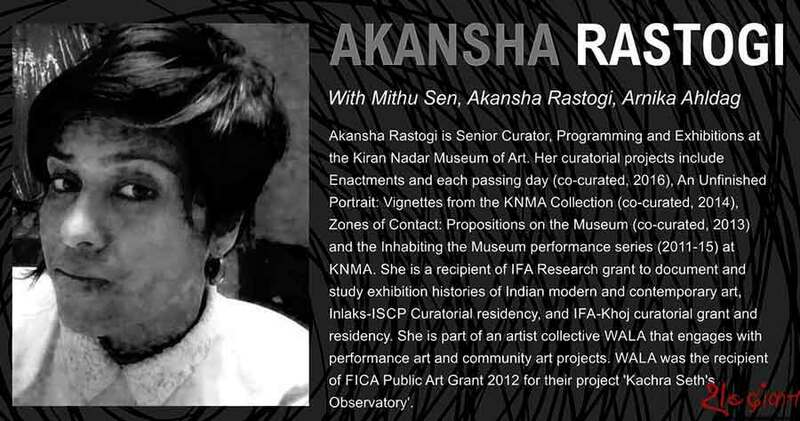 Raza Foundation is partner for the ILF Art-Articulations segment that hosts this evening. 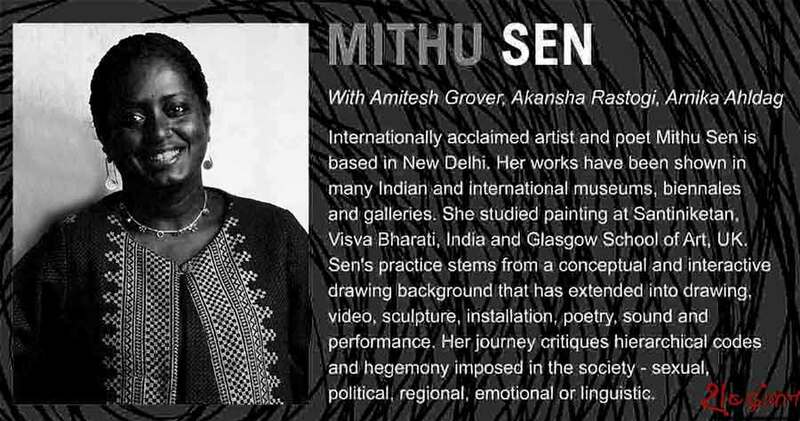 The discussion is scheduled for Thursday, October 6, at the Amphitheatre, India Habitat Centre, 7 pm onwards. The fourth in the series of #notonguesbarred conversations, of curtain raiser to ILF Samanvay 2016 in a collaboration with Oxford University Press, has a session on Soda Politics: The language of sugar and fizz. Session had Sunita Narain, Satya Sivaraman and Sourish Bhattacharyya underlining the fact that food is our business. It should not be any company’s business because it is personal and it is important for us to know why we eat it. It was mentioned that in the last 60 years the global intake of sugar has gone up thrice and the population has doubled in the 50-70 years and the sugar production has tripled. This has been responsible for a whole range of health issues. The session was was a truly exhilarating evening.